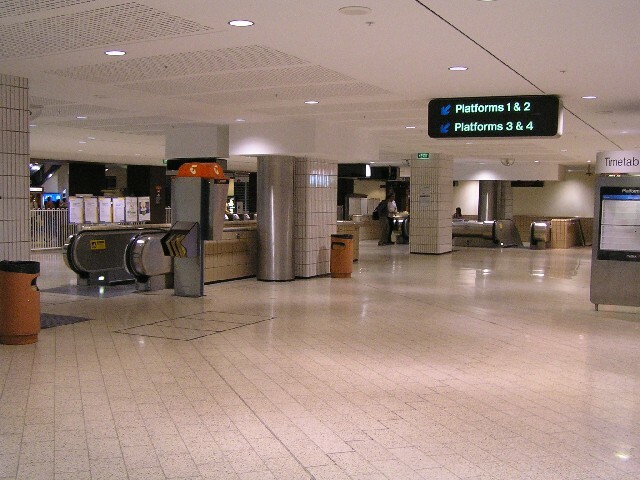 Melbourne Central Station was the first of the underground City Loop stations to open in 1981. 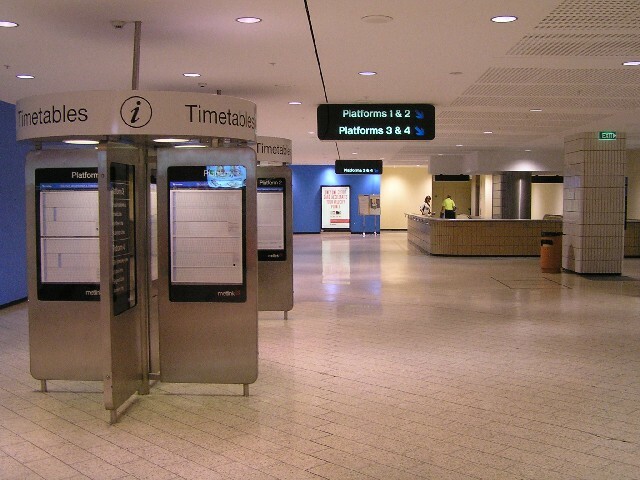 Unlike the other underground stations it features an open platform layout with no walls separating adjacent platforms built on the same level. 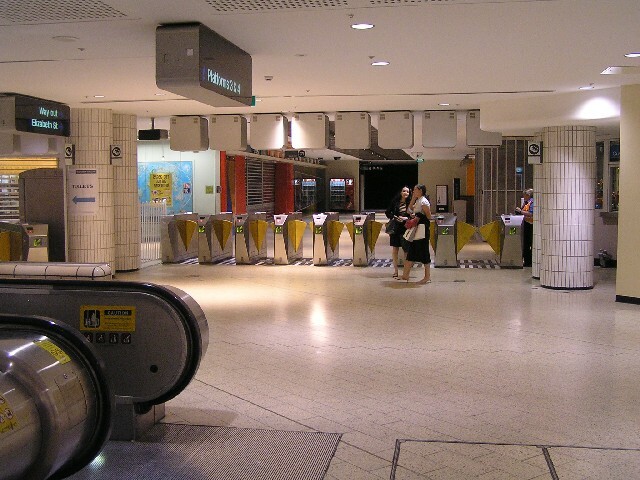 The major theme of this station at platform level is red tiles while at concourse level off-white tiles were mainly used. 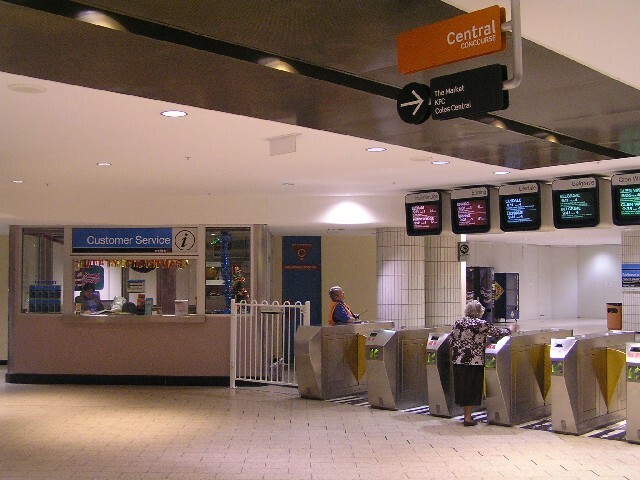 When originally opened Melbourne Central Station was named "Museum", however following the relocation of the Melbourne Museum from opposite the station to Carlton in the early 1990s, the station was renamed after the shopping centre located above it. 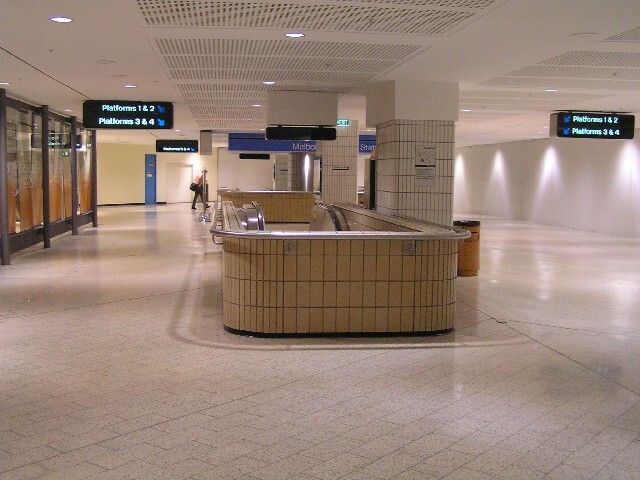 The shopping centre was constructed in the late 1980s, replacing the open air Queen Elizabeth Plaza which was originally located above the station at the Swanston Street end. When originally constructed the station had three access points to the surrounding street network, with the main entrance at the Swanston Street/Latrobe Street intersection, a secondary access at the Elizabeth Street/Latrobe Street intersection and a third, little used access on the north side of Latrobe Street. 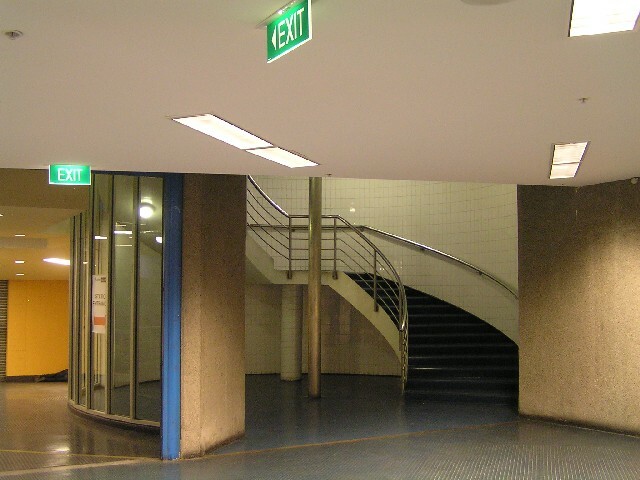 These access points were retained and incorporated into the Melbourne Central Shopping Centre, until 2004 when the shopping centre was redeveloped and the main access to Swanston Street/Latrobe Street was removed to facilitate a Coles supermarket. 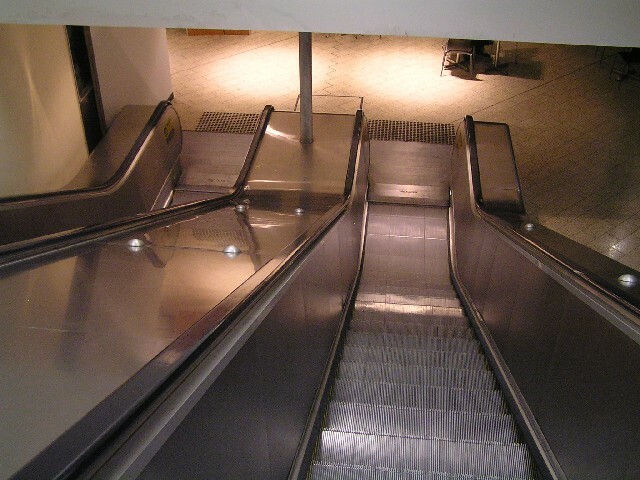 Although this access was replaced with a new access to Swanston Street through part of the shopping centre, the length for pedestrians to walk was significantly increased, with an additional bank of escalators to travel, and a lesser number of escalators in each bank, reducing the capacity to accomodate peak loads. There is now very little signage provided at Swanston Street to indicate the location of the station entrance. 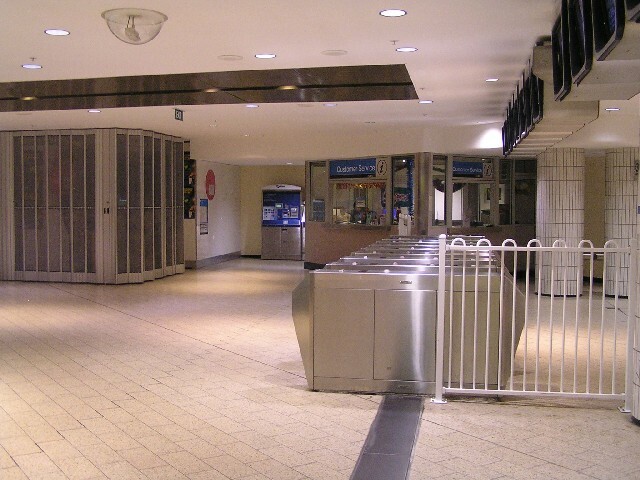 The concourse is rectangular shaped and originally included access points to Elizabeth Street and Swanston Street at both ends including separate ticket booths and ticket barriers with the access to Latrobe Street located in the middle. 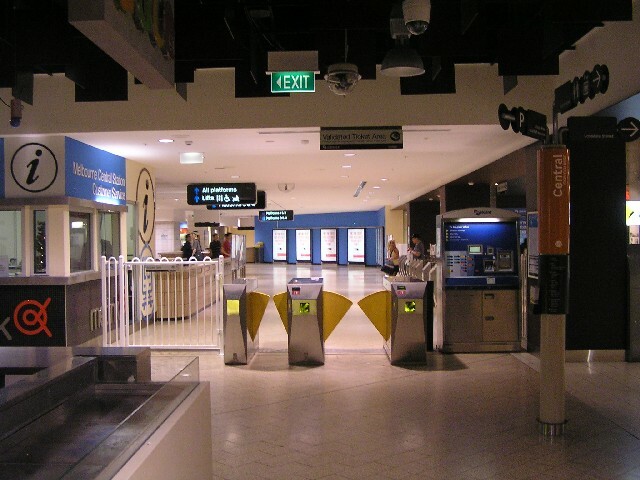 Since the removal of the Swanston Street escalators, the Swanston Street access has been relocated further along the concourse. 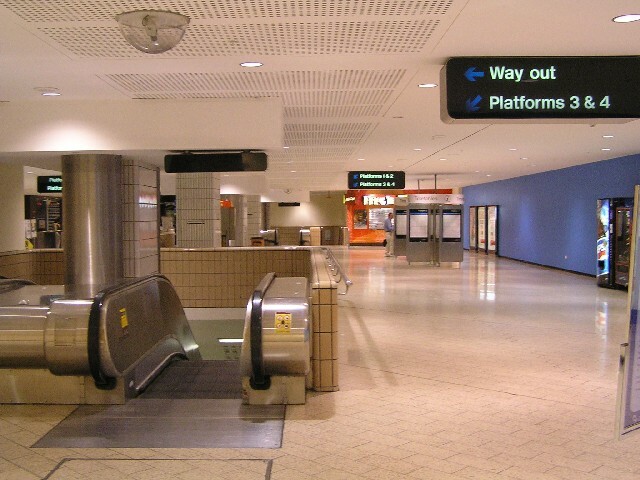 At the far ends of the concourse there are escalators that take passengers directly to the lower level platforms (Platforms 3 and 4), bypassing the higher level platforms. 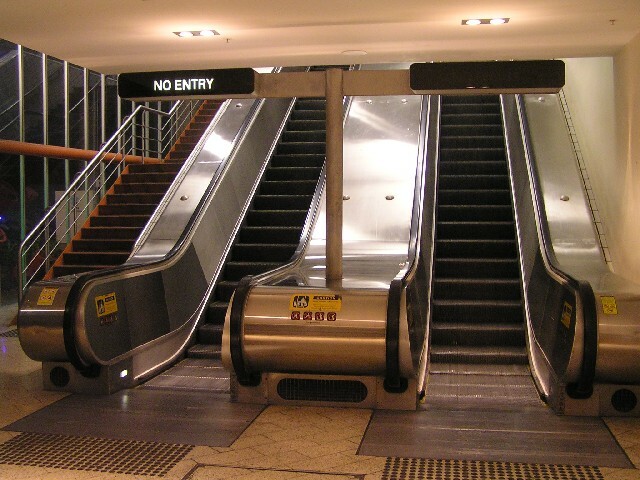 Escalators to the lower level platforms is unique to Melbourne Central, with passengers having to travel down two banks of escalators from the concourse to the lower level platforms at each of the other underground stations. 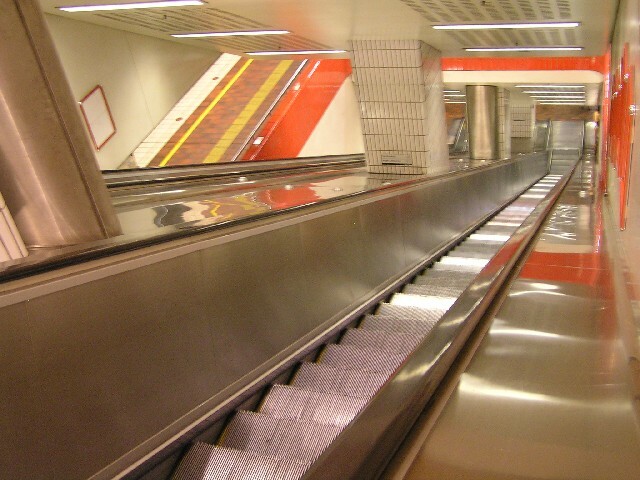 Unfortunately, since the relocation of the Swanston Street access, access to the direct escalators at the Swanston Street end of the concourse is no longer convenient and accordingly these escalators now recieve minimal use. 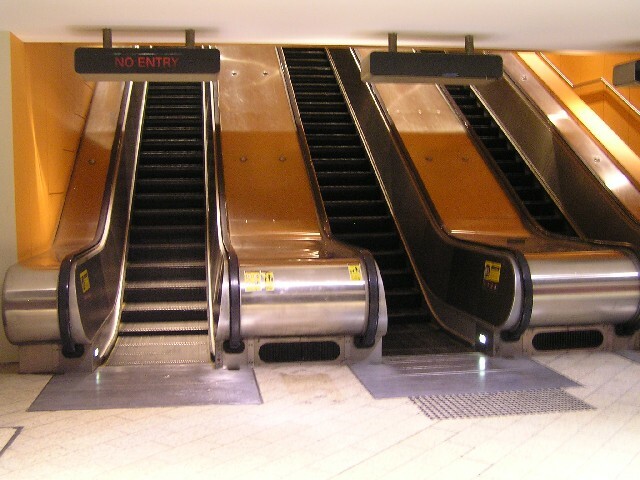 In addition to the two sets of direct escalators to the lower level platforms, there is also a set of escalators located at either end of the concourse that provides access to the upper level platform with additional sets of escalators providing access between platform levels. An additional peak direction escalator is also located at both ends of the concourse providing access to the upper level platforms. 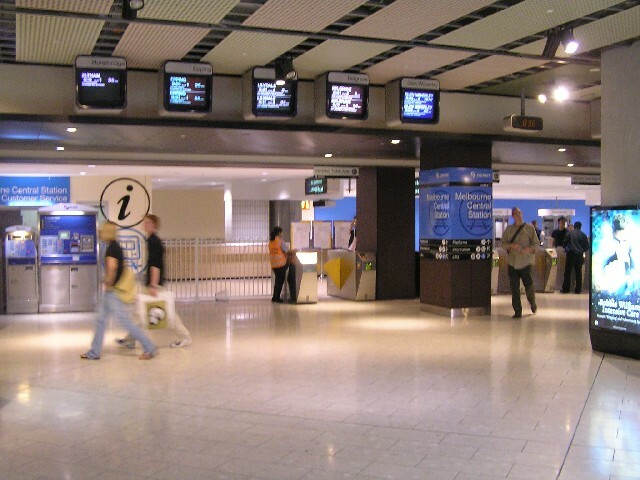 Since the redevelopment of the Melbourne Central Shopping Centre, a centrally located food court has been provided within the concourse area. It is now no longer possible to view one end of the concourse from the other. Also the centrally located single set of escalators leading to the little used access to Latrobe Street is now hidden behind a KFC outlet. 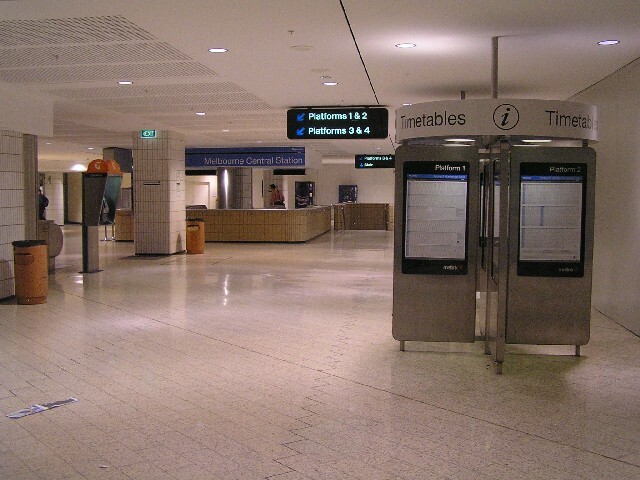 The station Master's office is located on a mezzanine level between the concourse level and the Latrobe Street access. 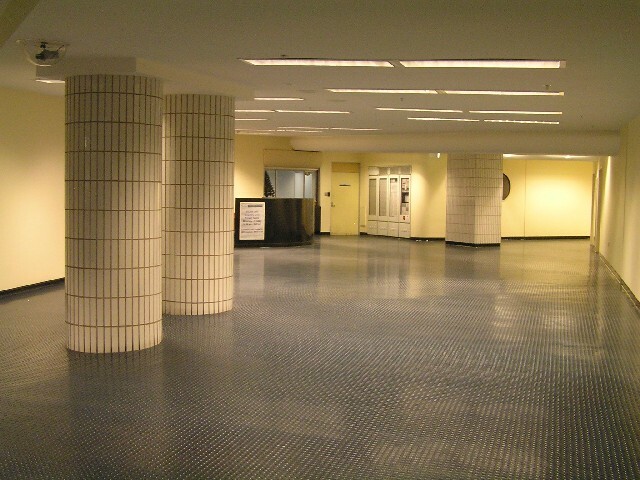 This intermediate level formerly overlooked the concourse over a balcony. Since the redevelopment the intermediate level is now fully enclosed.